Will Avengers: Endgame live up to the hype? Getting rejected by one of the colleges I was looking forward to was very disappointing. It was difficult to deal with it at first, but then I learned how to cope with it. Though it wasn’t easy, I learned how to push through and looked at the bright side. College admissions are something we all look forward to our second semester of senior year. It can be exciting and heartbreaking to hear back from the colleges we applied to. However, an acceptance or rejection from a college doesn’t define your worth. Whether or not a college accepts you, it doesn’t reflect your full potential, intelligence, or talent. These are all qualities that only you know for yourself, and you shouldn’t let a college define that for you. Many reasons play into the part as to why you got accepted or not. Although it can sting, a rejection isn’t the end of your life. 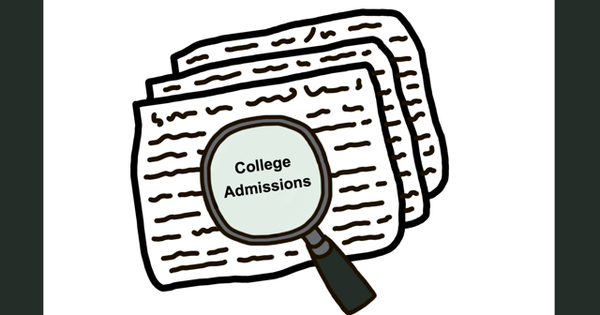 There are many different opportunities in the colleges you got admitted to, so don’t be afraid to take them. These colleges might not have been the ones you dreamt of, but at the end of the day, they are colleges that you still had an interest in, so might as well give them a try. At the end of the day, as long as you’re content where you attend that’s all that matters. Try not to focus so much on the negative but focus more on the positive. Always strive for the best and know that at the end of the day anything is possible as long as you work hard.